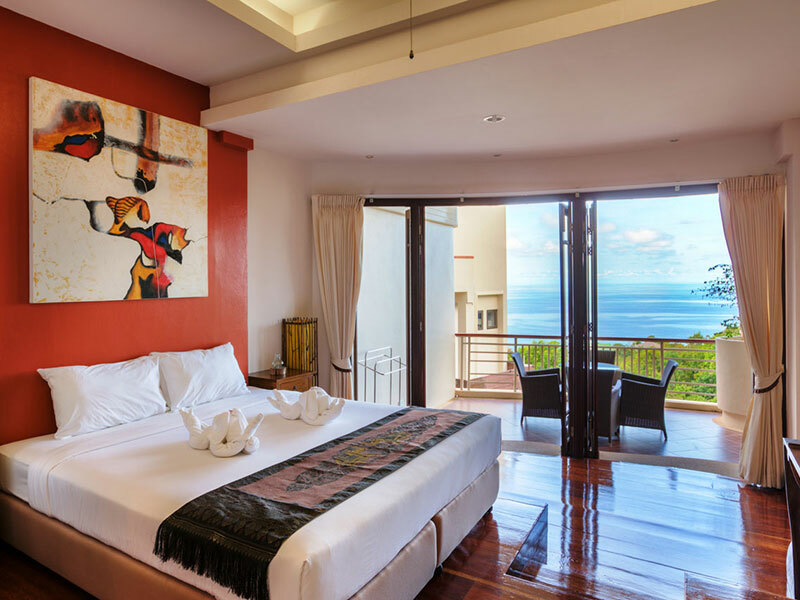 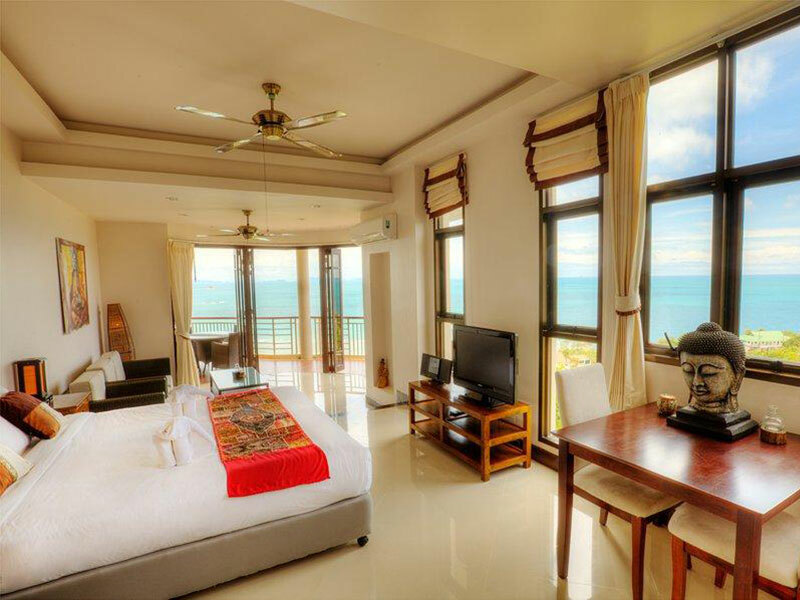 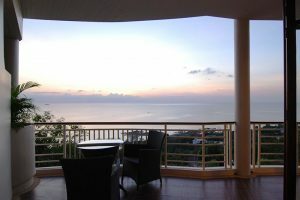 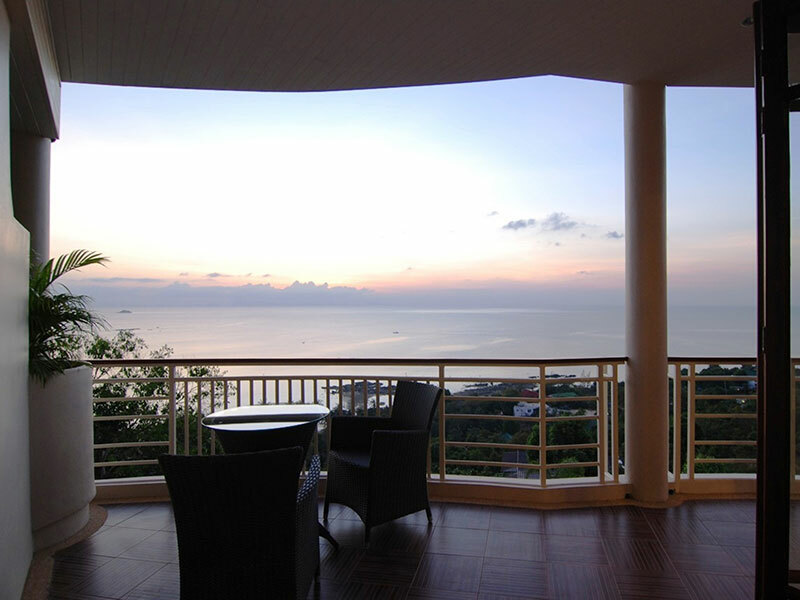 Our Grand Sea View Corner Suites (60 m2) are located at the corners of each floor of the Sunset Hill apartment buildings. 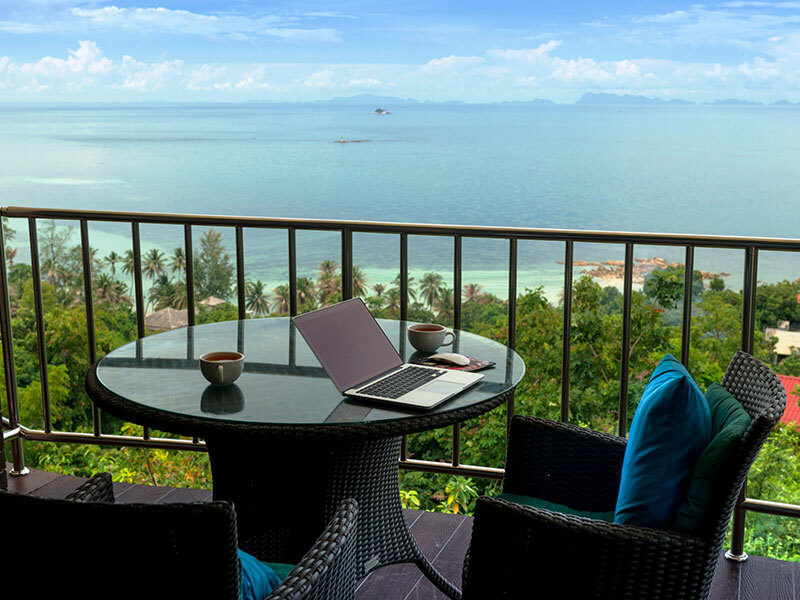 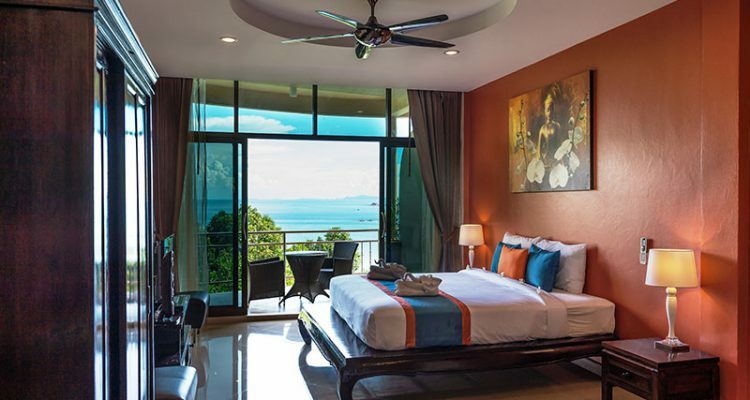 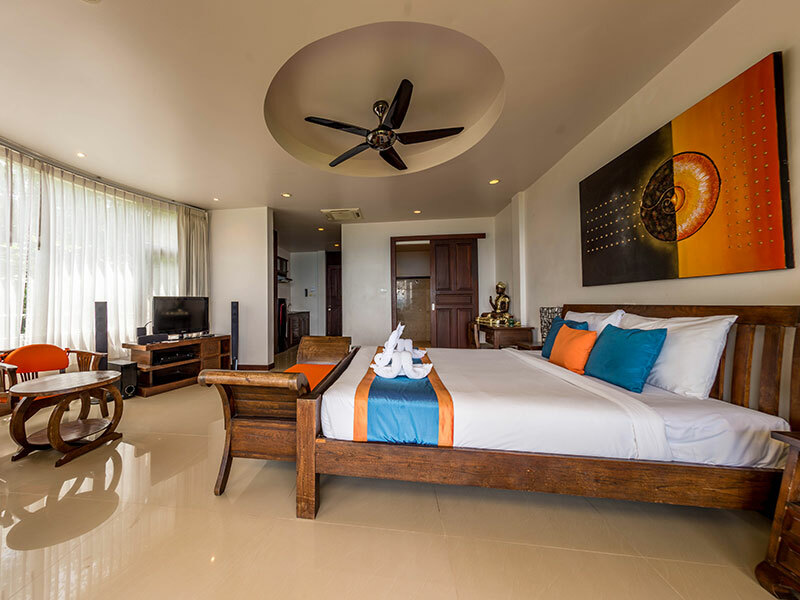 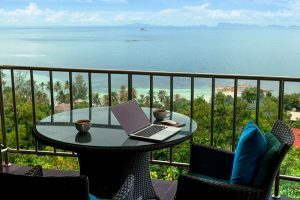 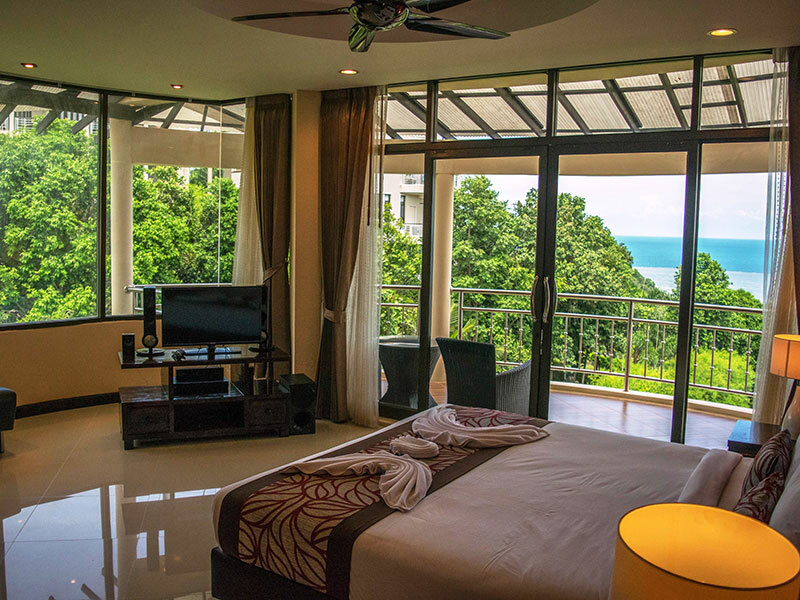 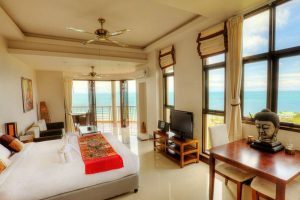 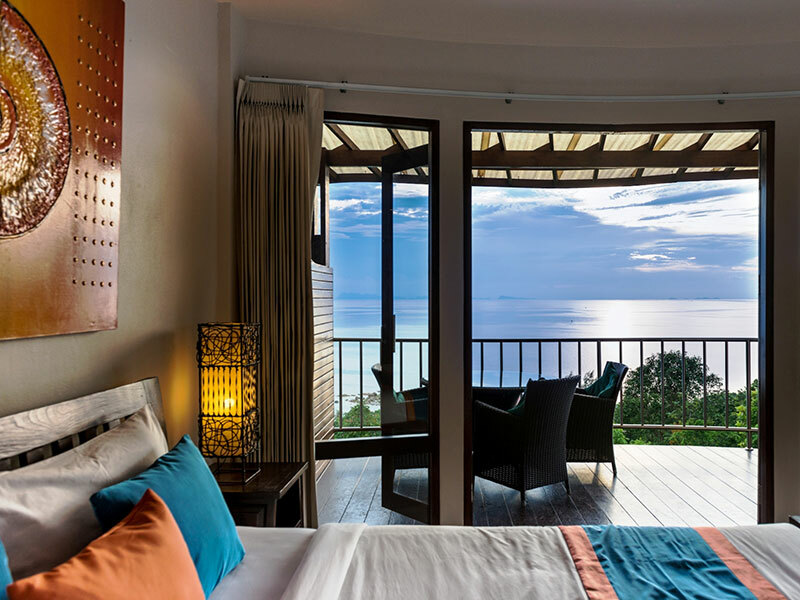 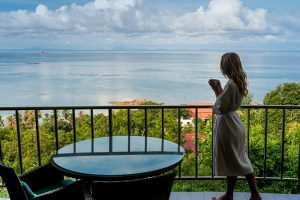 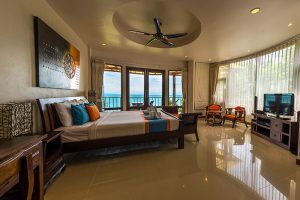 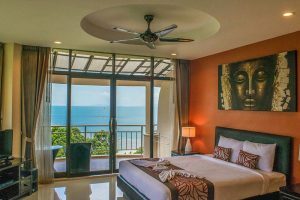 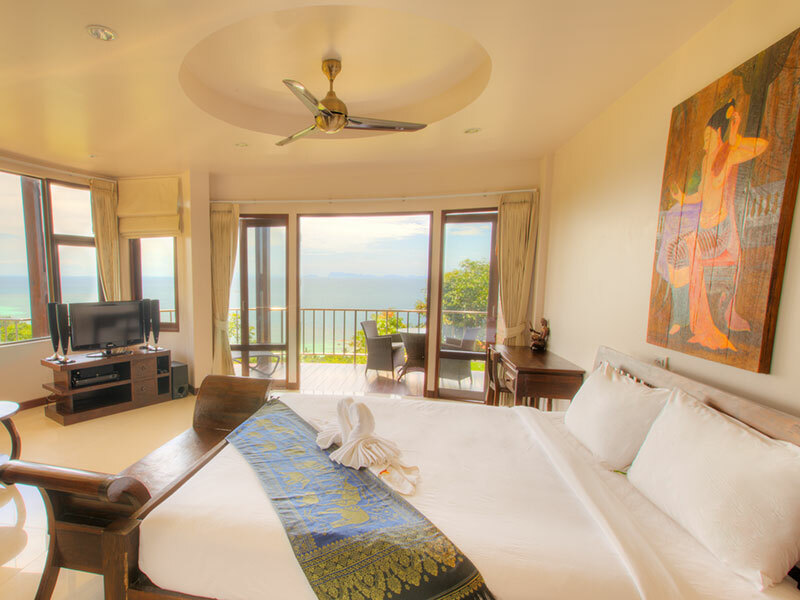 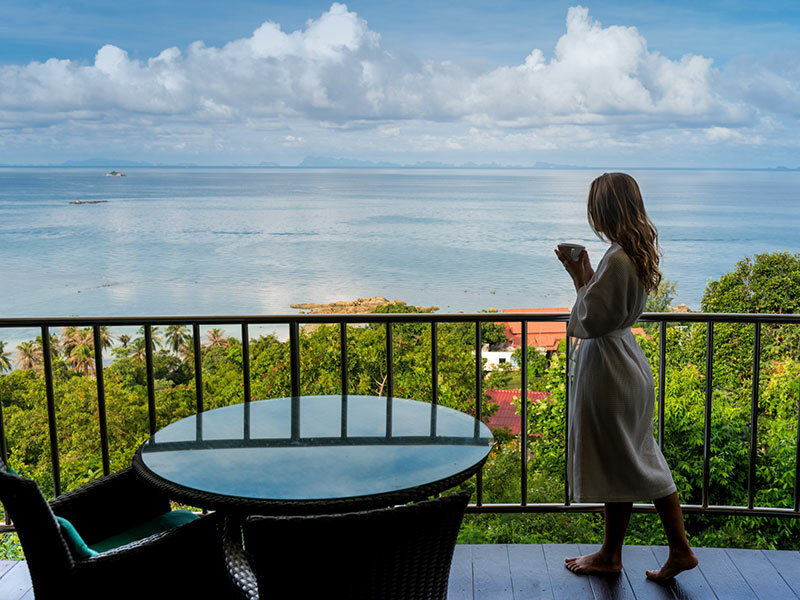 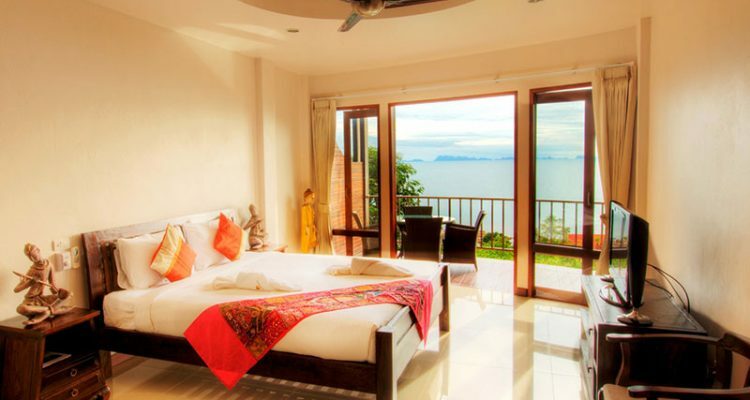 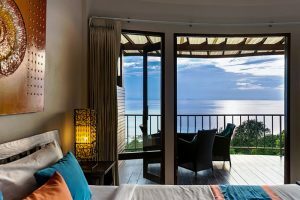 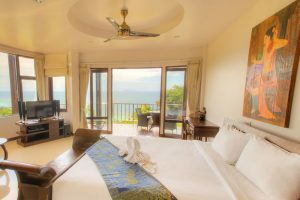 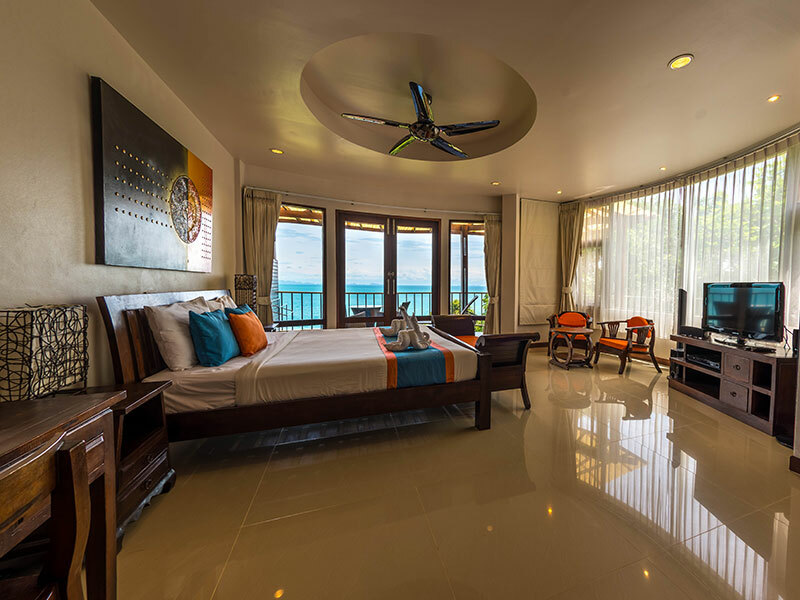 These amazing corner suites are especially designed to create an optimal panoramic view over the Gulf of Thailand and Angthong Marine Park and have a special extra-large corner terrace. 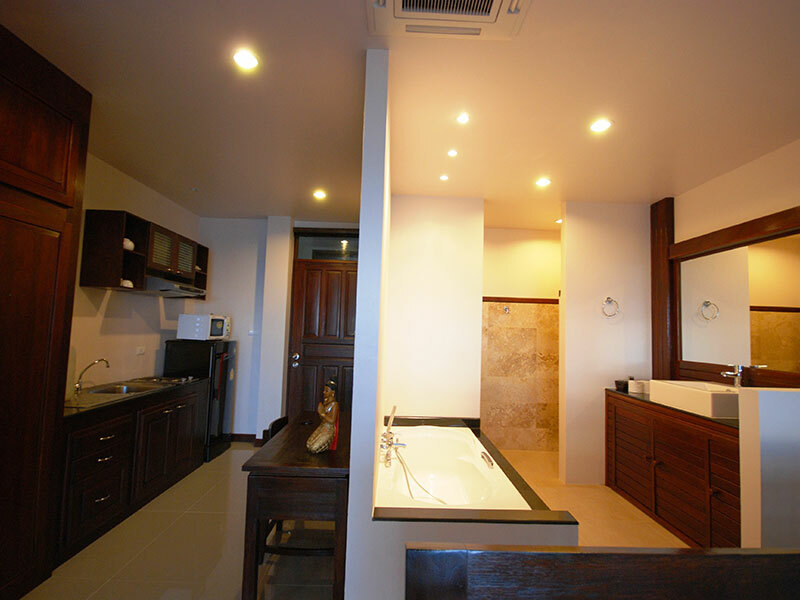 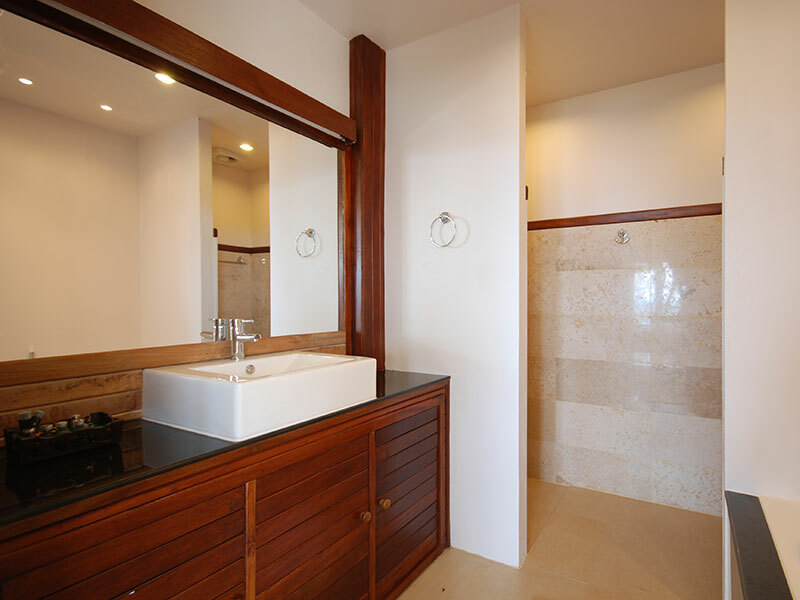 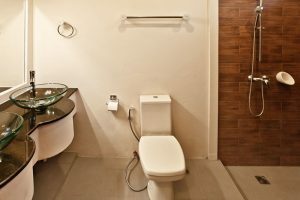 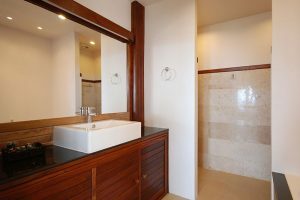 The apartments are equipped with a refrigerator and a beautiful bathroom. 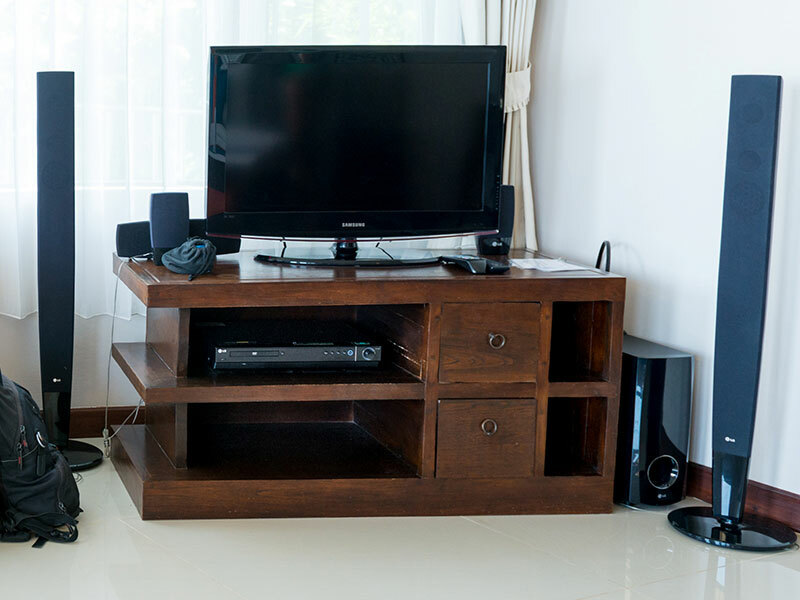 Each suite has a dining/sitting area, dressing table, wardrobe and of course a high quality double bed as well as a big flat screen television and a DVD/Music system. 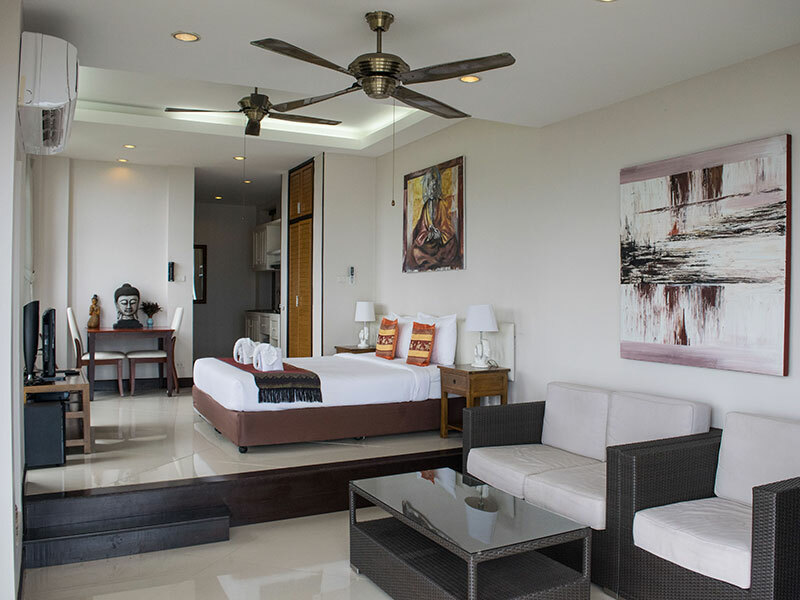 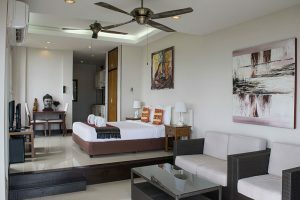 Our suites are also equipped with air conditioning and fan. 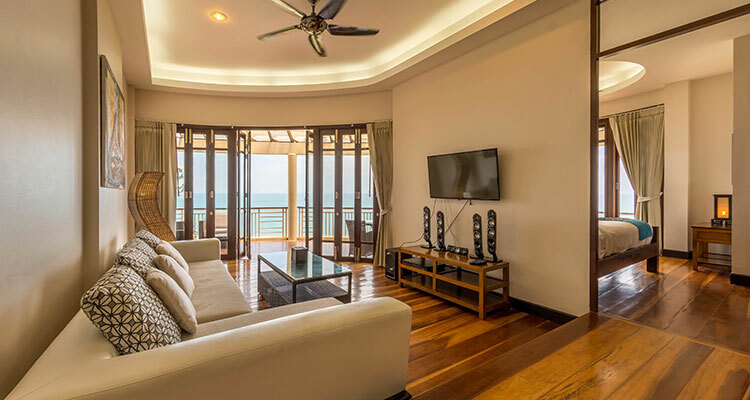 The unique round folding doors (in the Rose building) and the double doors (in building Jasmine and Orchid) can be fully opened, which will allow you to combine the large terrace with the living room. 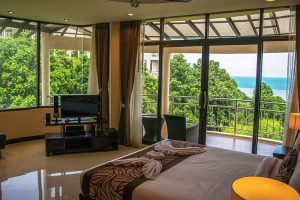 This way you can live the ultimate indoor-outdoor lifestyle and enjoy the astonishing views from every corner of the apartment. 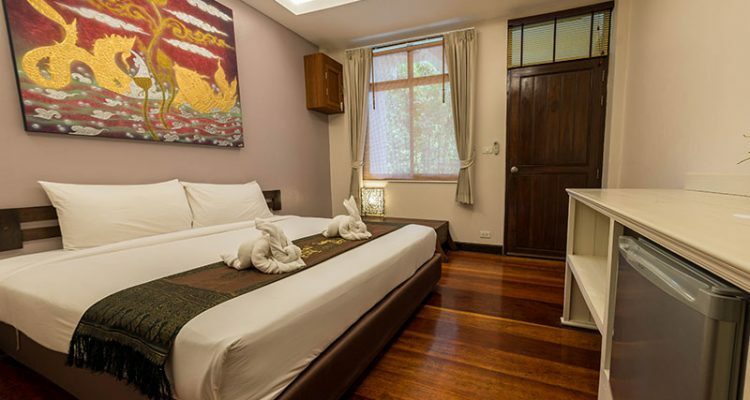 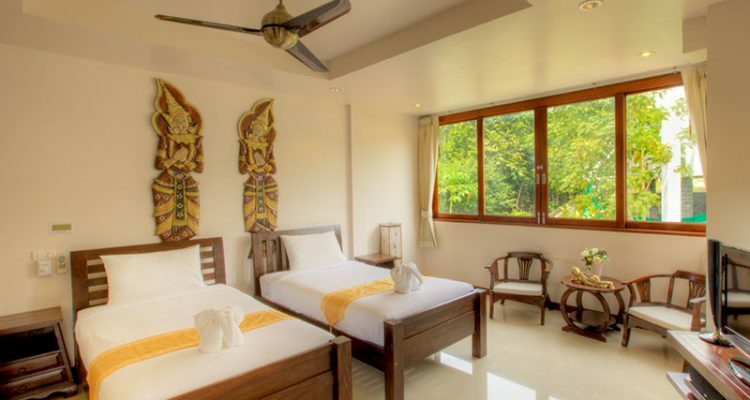 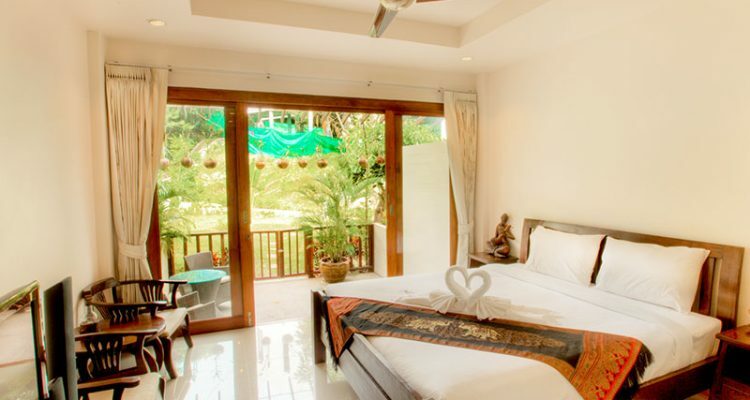 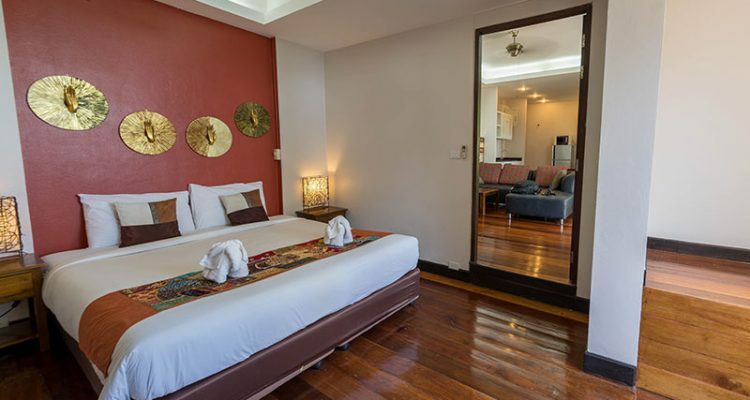 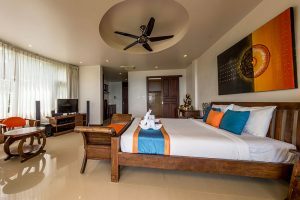 This roomtype is the ideal choice if you are looking for a luxuriously designed suite for your honeymoon or romantic couple getaway. 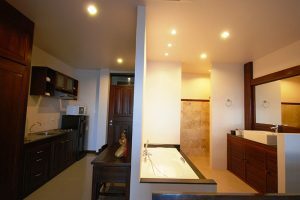 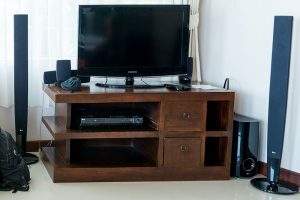 There are two types of Corner Suite apartments as shown in the pictures below. 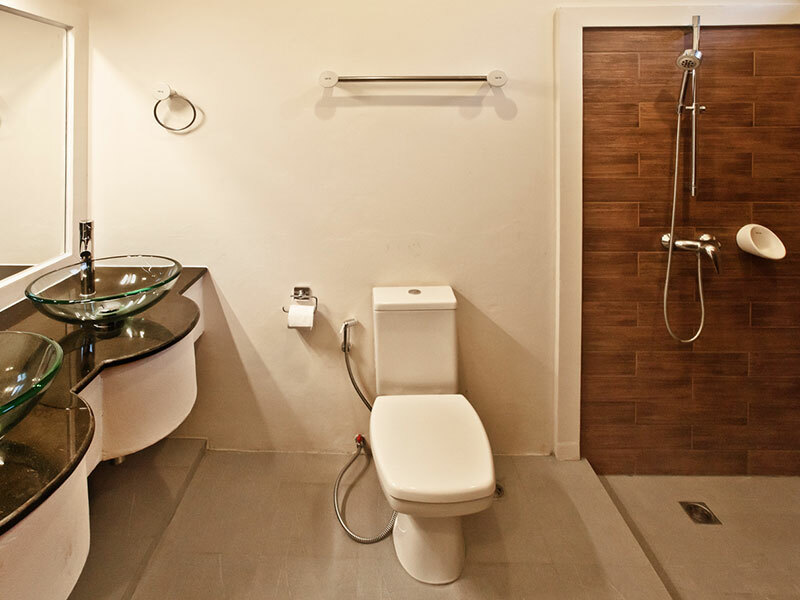 Suite Type 1 is located in building Rose and Type 2 (with bathtub) is located in building Jasmine or Orchid. 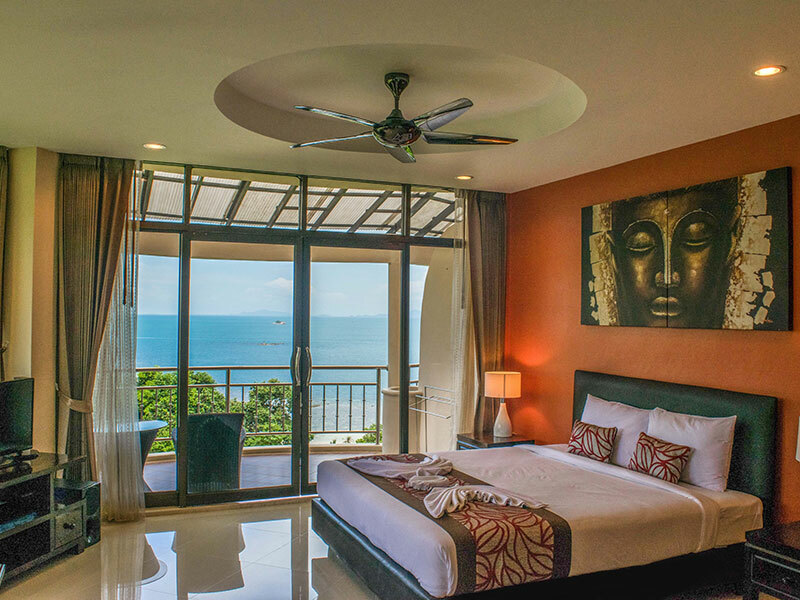 Please email us your preference when booking with us. 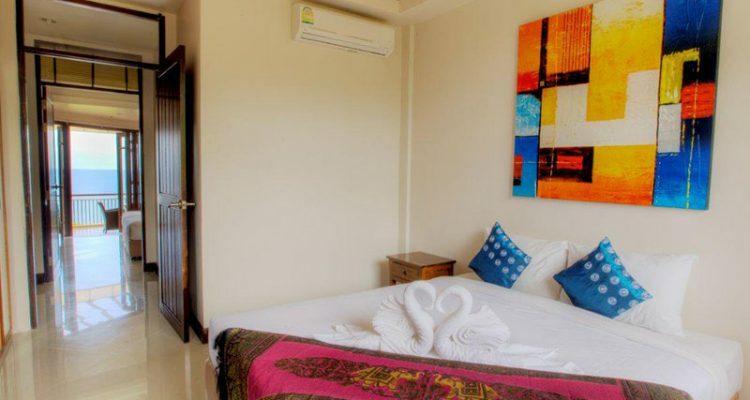 This suite type can have a baby cot; please contact us in advance to arrange this.